The TRUTH About Anti-Nutrients – Do We Need to Cut These ’Healthy’ Foods Right Now? Do you want to know my biggest frustration when it comes to health? The thing that makes my blood boil, makes me hopping mad, makes me want to do this face 😡…? It’s what I call ‘health BS’…needless, careless, hype, designed purely for headlines, clicks, shares and for the sake of being ‘controversial’ for attention. I’d go as far as to call it exploitation of information. We are seeing it more and more these days. Then it was nightshades and “Don’t Eat Tomatoes!”…that too, is based on totally false science, fuzzy logic, and is without research or evidence…but wow, a couple of folks sold some extra books…. Wow. I better stop eating those quicker than you can say ‘fake news’, right? Not quite. And we need to dig into this one a little more to get the real truth. And the simple truth too. Now – whereas the nightshade and the oxalate/goitrogen fuzzy-logic-stories were completely without evidence and were making a ton of giant leaps with their hypotheses…anti-nutrients ARE in these foods, they DO exist and we actually know a LOT about them. But once again, why would people let the truth get in the way of a good controversial headline or book? And provocative, fuzzy logic health claims like these are doing nothing but causing people to stop and give up. They’re causing paralysis by confusion. And I get it. And the hype around anti-nutrients has now left us believing that even some of the most ‘safe’ healthy foods – staples like broccoli, lettuce, spinach, pumpkin, almonds, sunflower seeds, quinoa – are now suddenly off limits? I can see how anyone would want to just throw in the towel and give up. 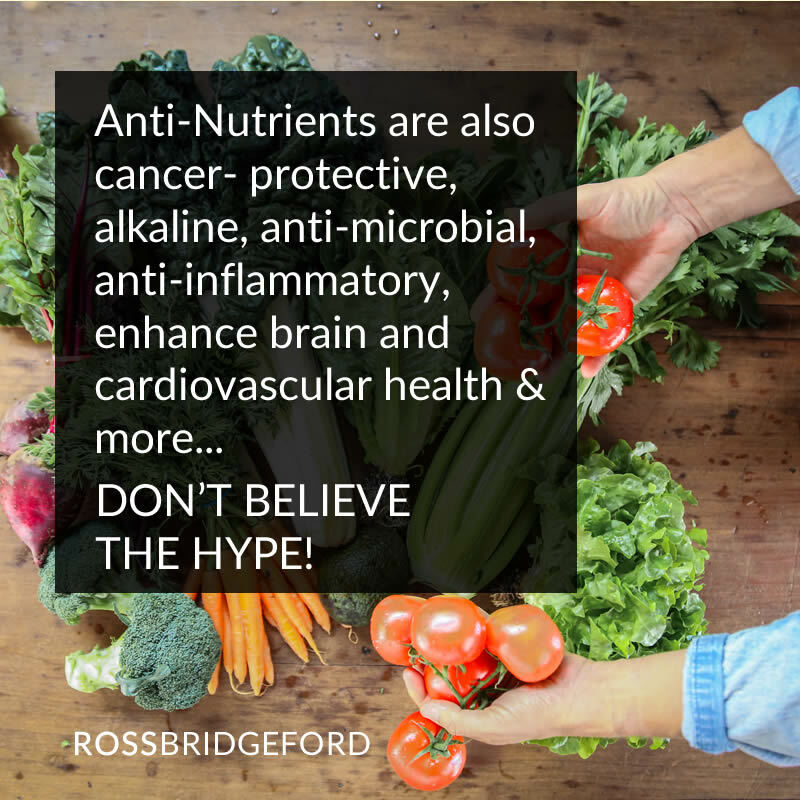 So today, I want to lift the lid on all of this, give you the real truth, the science, the research and most importantly – you’re simple steps forward, so you can completely understand what anti-nutrients are, what you need to be aware of, careful of and what you can ignore. You’ll know the foods you can eat, those you can avoid and everything in between. If you currently have a health challenge and you’ve been told to avoid anti-nutrients…or if you’ve just heard the scare-story and want to know more….or even if this is the first time you’ve even heard of ‘anti-nutrients’, I want you to read on, because I’m about to make things very clear and simple for you. Anti-nutrients, are natural compounds (note, not a result of genetic engineering, they’re natural) in plants. In the scientific community, the term anti-nutrient was attributed to certain plants because some of the compounds in the plant can be linked to a lower absorption rate of some of the other nutrients in that plant. Based on that information alone, you can see how some people have taken that one fact and run wild with it. But we need to dig into this a bit more, because that’s only one tenth of the full picture. They are found in all plant foods. The types of anti-nutrient and the volume is different and hugely varied from food to food. They are a small part of the bigger, complex matrix that makes up the growing plant tissue. While one result of consuming anti-nutrients is that they block certain mineral absorption, you HAVE to know that they do NOT block the absorption of that mineral entirely, they only block a small amount, they only block it during THAT MEAL (not all day and night). The name ‘anti-nutrients’ is hugely misleading. It only refers to this one (let’s face it, insignificant) action. I wish it had another name. These compounds, which are also referred to as the much more accurate ‘phytonutrients’ also have incredible health benefits! We celebrate phytonutrients, but we chastise anti-nutrients. It’s all in the name – they’re the same compounds! These same compounds which are being demonised to the degree that people are fearing the wonderfully healthy quinoa, spinach and broccoli are full of disease-fighting, protective, alkaline, anti-inflammatory, antioxidant-rich goodness! This is the real truth – with many foods there is good and bad. There is risk and reward. There is balance. This is absolutely the case with anti-nutrients phytonutrients. Yes, some may decrease the absorption of some nutrients. This risk is minimal, but it is there, we know it exists. However, these foods all have huge benefits too. Remember – we’re talking fresh, natural foods here! We’re talking broccoli, spinach, lettuce, cabbage, almonds, flax, quinoa, tomato, bell pepper – some of the most healthy, commonly consumed, alkaline, staples going! These foods contain anti-nutrients but their benefit so, so, so, so far outweighs the minuscule risk of the anti nutrient activity. Let’s take glucosinolates as our first example, which are found in broccoli in particular. Glucosinolates can lower the thyroid’s ability to absorb iodine. But unless you eat an astronomical amount of broccoli AND you’re chronically deficient in iodine (which is practically impossible in the developed world), it’s likely the consumption of broccoli is not going to any damage…in fact, the consumption of broccoli is going to help HEAL your thyroid as not only does it have a hugely anti-inflammatory, alkaline-forming effect but the iron, omega 3, vitamin c, selenium, zinc and more in broccoli are specifically super-protective and healing for the thyroid. Phytates are one of the most demonised – the most accused – as they reduce the absorption of calcium, iron, zinc and magnesium. However, as I’ve mentioned – the reduction of absorption is not only tiny, but is restricted to the food they are contained within (not your overall daily diet)…plus phytates have been proven to improves glucose response, reduce kidney stones, give anti-cancer protection, reduce osteoporosis risk, protect and repair DNA and is a powerful antioxidant. Again, the benefit far outweighs the negative. Even tannins, which can bind to iron, sure – have been proven to be anti-cancer, support the cardiovascular system, they have anti-microbial properties and so much more. And polyphenols, which most people would be surprised to hear are an ‘anti-nutrient’ because all we hear are great things…but yep they’re also on the list! And as we know, polyphenols have huge and diverse benefits for human health including fighting cancer cells, protecting the skin against ultraviolet radiation, fighting free radicals, promoting cognitive health, reducing inflammation, supporting blood sugar health and so much more. I hope you can already start to see how this myth that’s grown around anti-nutrients has been blown way way out of proportion and has been mis-interpreted, mis-communicated and dare I say it again, exploited for attention, website clicks and book sales. Important: the nuance – look the the SOURCE of the anti-nutrient, rather than the anti-nutrient itself! When people talk about avoiding anti nutrients, they often focus on a couple in particular – lectins and phytates – and those two are both found in gluten-containing grains such as wheat, barley, rye, spelt and so on. I agree with this advice, in that these grains are some of the most pro-inflammatory, acid-forming, oxidative-stress-causing, unhealthy, endocrine disrupting, digestive imbalancing, diabetes-causing foods on earth. They run a close second only to sugar. And there are myriad issues with grains like this – and the phytate and lectin argument often gets thrown in there with them. Which is, again, misleading with regards to anti-nutrients. For example, there is a suggestion that the lectins can cause an immune-response that could theoretically cause leaky gut. It’s what I’d call a ‘dotted line theory’, for sure. HOWEVER, by FAR more contributory to leaky gut is the fact that when digested gluten is broken down into many things, one of which is a protein gliadin which causes the release of another protein called zonulin (which we only discovered in 2000). Zonulin modulates the permeability of tight junctions between cells of the wall of the digestive tract. It should only be released in a case of the immune system requiring action, but gliadin causes it to get released regardless – meaning that there are unrequired gaps and holes in the wall of the digestive tract 24/7 – allowing undigested matter, toxins, waste and more to pass back into the blood – leading to leaky gut. You have to be careful, you need to know the cause and effect, you need to know the truth! 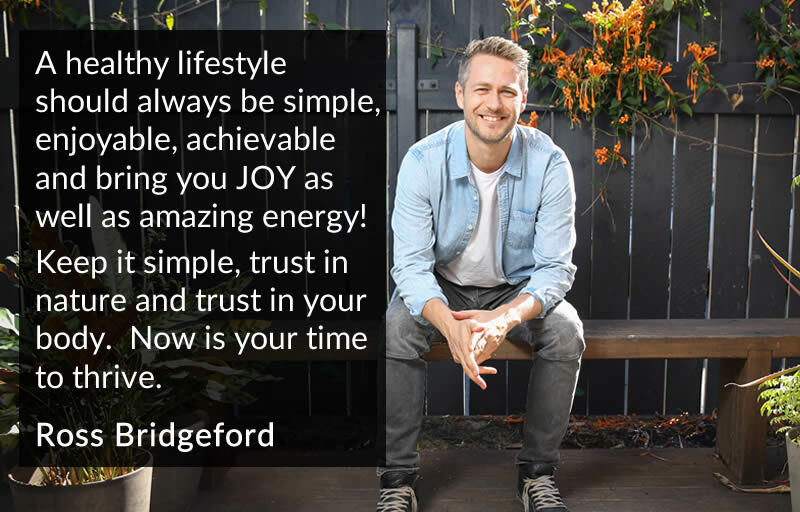 You know me – I am all about REMOVING unnecessary complication, removing complexity and confusion – and keeping it as simple as possible. The foods that contain the anti-nutrients/phytonutrients include those healthy, alkaline, anti-oxidant rich, anti-inflammatory, real, natural, whole foods. Each of these foods can contain a small risk-factor, and it could even be that prevalence of anti-nutrients. In the case of nightshades it could be the alkaloids that we are being told cause autoimmune issues (when in reality, barely any nightshades contain anything other than trace levels of these, which have zero effect on the body and those that do i.e. potatoes that have sprouted and gone purple, are not something we’re going to eat even close to enough of to have any negative effect). It could even be that spinach contains cyanide in super, tiny, micron-sized amounts! In each of these cases the downside to these foods is miniscule. It shouldn’t even be a point of discussion. Yet the upside is HUGE – these foods are absolutely essential in the prevention of chronic disease. Turmeric, which has been shown to be more powerful than dozens of prescription medications, incredible cancer-preventive, proven to help reverse type 2 diabetes, heart disease and more COULD be put in the naughty corner because it is 2% oxalate. But if you want to have abundant health and prevent degenerative disease you would be absolutely crazy to avoid it. People with thyroid issues are told to avoid oxalate, but turmeric is probably the most anti-inflammatory natural compound on earth and thyroid disorders (both hyper- and hypo-) are disorders of inflammation (see my hypothyroidism plan here). The bottom line is this: nature has provided us with an incredible, abundant array of delicious, nourishing foods. PLEASE don’t get caught up in anything other than the guiding principle of eating real, whole foods, as close to nature as possible. If you stick with my principles of eating 60-70% or more alkaline-forming foods you will thrive. These alkaline forming foods are all naturally nutrient-dense, anti-inflammatory, antioxidant-rich and have a restorative, regenerating, healing effect on the body. Spinach, kale, lettuce, broccoli, almonds, quinoa – these are all absolutely wonderful healing foods. …completely ignore the hype around anti-nutrients. Don’t get caught up in hype, fads or frustrated by the complexity. Trust your instincts, trust your heart and your intuition. Trust nature to provide the tools and trust your body to know how to use them. Health should be simple, let’s keep it this way. Thanks Ross! It’s great to see your high level of consciousness where you see the integrated Bigger Picture of the food industry, and are socially aware of what people need, and want to achieve great things by making a positive difference for as many people as you can – but also know when to rely on the “absolute truth” of science and when to make a powerful statement to “fight” injustice. The sad thing is that there will always be people who only want to hear what they want to hear, but the good thing about it is, that it brings out the best in you, it keeps you sharp as a tack, energetic to the max, and makes you THE expert in your field! Wow thank you for going so much into this subject. Now I know how to answer people when they tell me to be careful and I do not have to worry. My pleasure Inger and everybody else! Am I allowed any type of bread? Basically you’re looking to avoid gluten – so sprouted grain breads (sprouted grains haven’t developed the gluten yet so sprouted wheat, rye etc is fine – but check the label to see if they have put the gluten back in! ), gluten free breads, breads made from grains and grasses ec that don’t contain gluten (buckwheat, amaranth, chia, quinoa etc) are all fine. Thank you, that was so informative I am so happy to hear that many of the stories about nutrients tend to be exaggerated. Because it is only the last few years that I have been eating a plant based diet and enjoying it! I have been a follower for some time, and I used to add a lot of super foods to my diet. However later down the line I started suffering various health issues, and decided to go for a food intolerance test. The tests showed that I had leaky gut and was intolerant to 65 different foods, and all of the super foods I thought was so good for me and I was having regularly. This includes broccoli, kale, quinoa, cucumber, carrots, lemon, kiwi, almond, dates and many more. It has been 1,5 years since my test, and I am trying to avoid the ‘bad’ foods, but will soon go for another test to see if the 65 bads hopefully have reduced. Meanwhile, I am sure that this is mainly caused by drinking green juices daily, and eating kale, quinoa, and the above mentioned foods nearly daily for years. And I still suffer when I eat some of the foods on the list. What do you think?